We in Pakistan have taken sparrows for granted for over 10,000 years. This is unfortunately no longer the case. Ornithologists and bird enthusiasts across the country fear the only reason the house sparrow has not yet gone on the Red list of endangered birds is prob­ably because no one has yet bothered to count how many are still around. It’s not as if the alarm bells haven’t already begun to ring. Six years ago, soon after the once common sparrow had gone on UK’s Red list, many wonder if the sparrow population in Pakistan decreasing? And if so, what is the government doing about it? We all can notice that sparrow population is declining all over Pakistan. No one quite knows why a bird which evolved around the time when humans invented agriculture and adapted so superbly to city life should disappear so mysteriously-and rapidly-in the last 10 to 15 years. 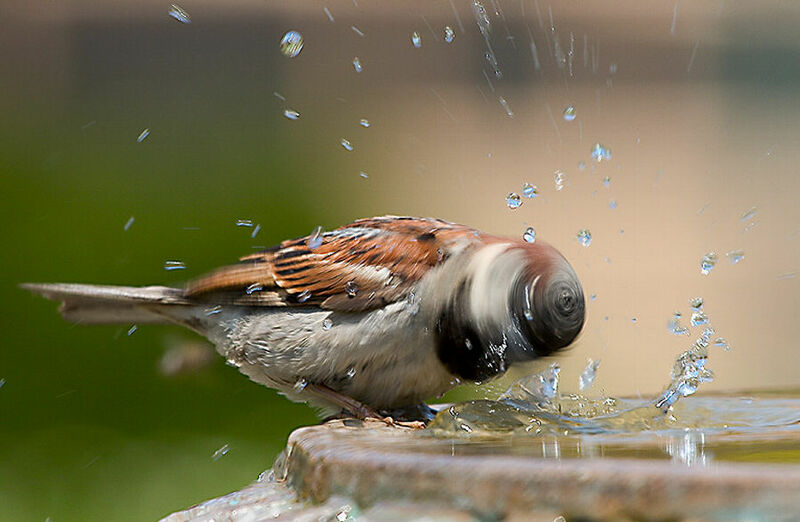 There are theories, of course, ranging from cellphone towers with their electromagnetic contamina­tion that may be lethal for sparrows, to excessive use of pesticides and unlead­ed petrol, both of which kill the insects on which baby sparrows are raised. Sparrow is a neglected bird and it is unglamorous for the folks to work for saving them. When sponsors are approached to save sparrows many say that the sparrow is not an endangered species. Do we have to wait until it becomes endangered before we do anything? Many also say that why should we save the sparrow? They fail to realize that spar­rows are to urban ecosystems what the canary was to mines. If saving a tiger can save a forest, saving the sparrows can save our cities. When changes happen in our urban environ­ment, it’s too slow to tell. But in the long run they’ll take their toll. It’s not just sparrows that are disappearing from our cities but other forms of urban wildlife like butterflies and frogs as well. Above all, we must prevent what hap­pened in the case of vultures. We can put a man on the moon, but we can’t bring back an extinct species. For all we know, by the time we get down to the actual counting, there may be no more sparrows to count. The time may have come for some old fashioned human intervention. One intervention is a wooden nesting box which can be designed to keep out mynahs and other larger rivals, that can be hung up on balconies and trees. For centuries, sparrows have built their nests in or around human habitation, using the crevices and holes in brick walls or in eaves and crannies. when buildings started straightening out and shooting up, it still wasn’t a problem, because sparrows found other ingenious places to build their nests, like the cups of ceil­ing fans or behind picture frames or in lofts behind stowed suitcases. But the final inequity was when humans started sealing off their balconies with glass and aluminium, thereby denying sparrows all entry. There’s simply no place left for them to build their nests in cities now, unless it’s in the cracks between the ceiling and shutters of shops, which is at best a risky place. The eggs are likely to be crushed when the shutters are pulled down. Such nesting boxes alone obviously cannot do the trick. Sparrows need insects to raise their nestlings. Recent trends of cementing over yards for car parking, replacing hedges with wrought iron or bamboo fencing, and planting exotic trees and grass instead of native species have wiped out insect life. And with it, new generations of sparrows. 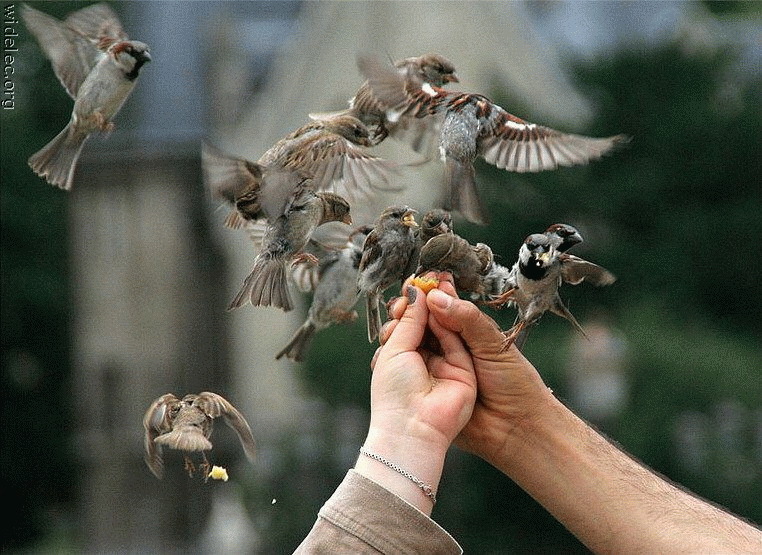 Sparrows may have lucked out in the gene lottery when they first evolved as man’s han­ger-on. but it’s these very genes that are going against them in the current battle for survival among urban wildlife. Unlike most other birds in cities, sparrows hate to move in search of better nesting or feeding sites. They don’t mig­rate more than one to two kilom­etres, and will die out rather than move to a better environment. Not that there are many places they can go to, even if they were able to.